KANATA, ON, March 15, 2017	(Newswire.com) - ​HubStor Inc., the data-aware hybrid cloud storage and archive solution, today announced its Microsoft Azure-based SMTP journaling, archive, and search solution for organizations that want a low-cost, zero lock-in cloud approach to meeting their legislative and business compliance storage and data discovery needs. When organizations move to Office 365, they are usually surprised to find that Microsoft does not support the preservation of message journals in Exchange Online. Instead, clients have the option to 1) use Office 365’s Litigation Hold to preserve data, 2) keep servers running on-premises to provide journaling, or 3) use an expensive third-party archive in the cloud (that risks high egress charges at a later date). "Essential has seen enterprise customers struggling to get a viable and flexible option for dealing with their journals when moving to Office 365. They now have a practical solution that lets them decommission their legacy archives and that gives them a comparable interface for compliance searches. There's also the bonus of not being held to ransom if they change their email storage plans in the future." Making matters worse, many of these organizations have already accumulated a huge backlog of journals that need to be handled somehow. 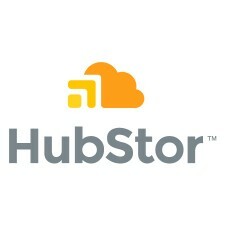 HubStor, the reinvented approach to enterprise archiving for the public cloud, enables companies to meet their journaling requirements in Microsoft Azure, conveniently and at a fraction of the cost of traditional email archive products. Office 365 Journal Rules stream email traffic into HubStor’s compliant storage running in a Microsoft Azure datacenter of the client's preference. Meanwhile, historic emails from legacy on-premises Exchange servers and archives can be ingested into the same secure location in Azure. This ensures a single and current repository that saves time, expense and risk when performing eDiscovery. HubStor’s Compliance Journal Archive service also includes eDiscovery features for creating cases, placing holds, delivering fast, scalable and targeted searches, and exporting cases with role-based access control and auditing. Explained Geoff Bourgeois, CEO at HubStor, “A critical aspect of our service is our cancel-at-any-time, pay-as-you-go subscription. We’ve also linked the cost of storing, searching, and extracting data to metered Azure usage. This makes it super easy for customers to meet compliance requirements at reduced costs and move their email records if their plans change.” For ultimate flexibility, the service can also be run under the client’s Azure account or in HubStor’s. HubStor’s Compliance Journal Archive service is available now. HubStor helps organizations leverage the cloud to transform their storage, archiving, search, and data protection processes in order to reduce costs and improve the security of mission-critical data assets. HubStor provides the world’s first and only data-aware hybrid cloud storage and archive solution which it makes available in a transparent pricing model without contractual or technical lock-in.